Happy March, friends and followers of the Star Wars Shadow Council! As many of you know, and/or are attending, next month is Star Wars Celebration Chicago! We’re sure to get a ton of great news and content regarding all things Star Wars, including more info about Episode IX. So, to help hype up your “March” to Star Wars Celebration Chicago, we’ve designed some Star Wars Episode IX Character Posters! Fourteen total, one for each announced returning character of the Sequel Trilogy. We’ll be releasing them one by one throughout the month, and compiling each poster in the gallery below as they get released. Enjoy, and may the Force be with you…. always. I’ve been wondering recently: just how much Carrie screen time is available to use in Episode IX? And is there a way to find out? Below, I estimate the available screen-time containing Carrie Fisher left on the cutting room floor of The Force Awakens including scenes with Maz Kanata and some potential dialogue with Rey that was likely cut from the film. All in all, the results may surprise you in that over an hour’s worth or more of various footage and dialogue is likely available containing our beloved Princess and General…. Update (02/18/19): Don’t forget, and as @Mirahtrunks rightly points out, none of these estimates include unused footage from TLJ, which only strengthens the conclusion that Leia could have some nice screen-time in IX and/or play a pivotal role! V-day or D-day: What will Episode IX mean for ReyLo? There may be something in the air when it comes to Rey and Kylo Ren… but is it romance, or family ties? In this post, I draw comparisons between the Luke/Leia and ReyLo “relationships.” A majority of the post focuses on highlighting fan opinions from the late 70’s and early 80’s that are in favor of a Luke/Leia love. I then hypothesize that any ReyLo relationship will end the same way as Luke/Leia… with Rey and Kylo Ren as relatives. A population of fans were upset with this reveal after RotJ, and I suspect ReyLo fans will react similarly should ReySky be revealed in Episode IX. Posted on February 14, 2019 February 14, 2019 Author swshadowcouncilCategories Blog, Episode IX, Funny Kind Of, Guest Post, Personal, Star WarsTags Ben Solo, Finn, Han Solo, Kylo Ren, Leia, Luke Skywalker, Rey, rey skywalker, Reylo, ReySky, Rose Tico, Star Wars2 Comments on V-day or D-day: What will Episode IX mean for ReyLo? 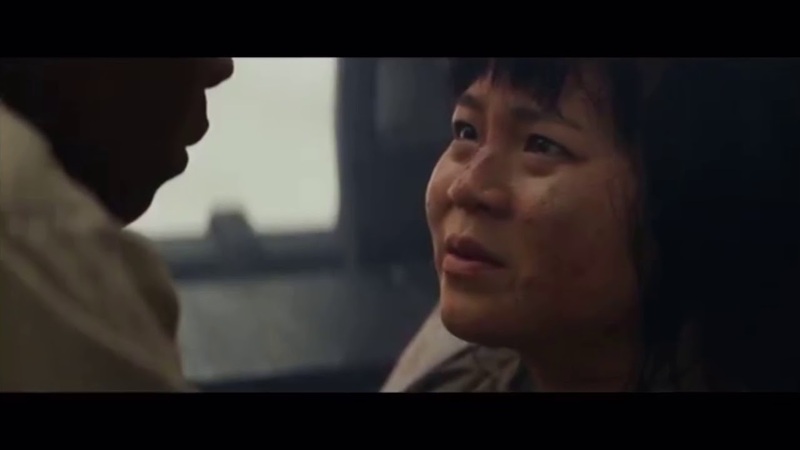 But even as Finn embraces her, we see it in his eyes, this is not the same Rey he knew before. This is an honest look into Finn’s perspective at the end of The Last Jedi. But how did Finn and Rey get here? And what exactly has changed about Rey from Finn’s perspective? As we embark on the journey to Episode IX, it’s worth reviewing the Sequel Trilogy through Finn’s Acts of True Love for Rey, along with the chemistry and bond they develop along the way, and yes, perhaps even romance…. What is a Narrative Foil? Well, I can tell you it doesn’t mean to wrap your character in aluminum foil and then microwave them. You could try, but they’d probably end up looking worse than Anakin post Mustafar duel. Narrative foils are characters that are completely different from each other in every way, yet their differences somehow also make them similar as well. Sometimes this trope is used to show how two different heroes could be, like naive, wide eyed Luke with cynical, rogue Han Solo. Other times it can be used to show a contrasting mirror for a hero and a villain, like how Luke and Vader were so different yet the same. Many have spoken about how Rey and Kylo are foils, and objectively speaking, they are. But what if I told you there was another foil dynamic in the sequel trilogy? A discussion of what is and isn’t the message of The Last Jedi and the strange reluctance to apply it to the protagonist.